Editors Note: There are four images and a video associated with this press release. 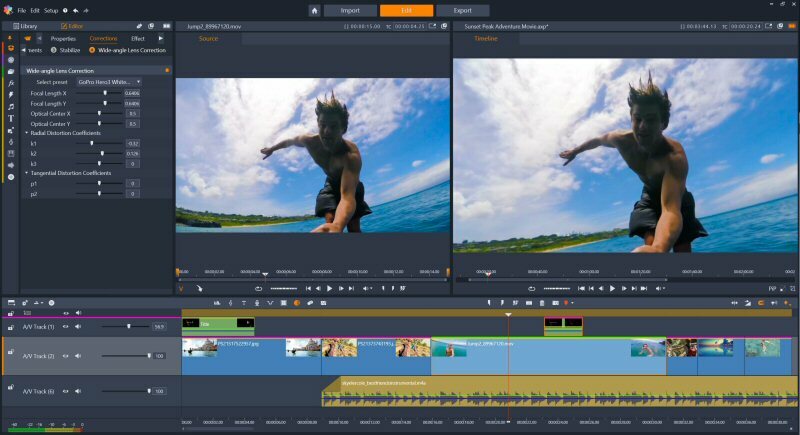 Introducing Pinnacle Studio™ 21 Ultimate, the latest version of Pinnacle's flagship video editing software that's been redesigned to offer a dramatically easier-to-use and more creative video editing environment. Now featuring an elegant and streamlined interface, Pinnacle Studio 21 Ultimate introduces new tools including Morph Transition, Wide Angle Lens Correction, Paint Effects, and 3D Titling, making it easier than ever to achieve professional-looking results. 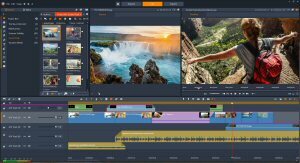 "With a smarter and beautifully redesigned UI, Pinnacle Studio 21 Ultimate offers a unique video editing environment where professional-inspired tools don't need to be complicated or hard to learn. If you're looking for a more powerful video editor where you can grow your skills, Pinnacle Studio takes you closer to pro, without the expense or complications. And if you're already familiar with the Pinnacle Studio environment, you'll be blown away by the speed, simplicity, and control of your new workflow," said Michel Yavercovski, Senior Director of Product Management for Pinnacle. New! Redesigned User Interface: Work faster than ever in an elegantly designed and highly intuitive interface that complements your video editing workflow. Quickly access the tools you need. Customize your experience and set up your ideal work environment with detachable panes. Enjoy more control and further refine your results with a variety of new enhancements including new Keyframes that can be set parameter by parameter. New! Wide Angle Lens Correction: Easily remove distortion and straighten the horizon. Make footage captured with wide angle cameras blend in with the rest of your film, creating a professional-looking result. New! Morph Transition: Explore new custom looks by creating innovative transitions that morph between scenes. New! Paint Effects: Transform your next video into a storybook-like motion animation. Add cartoon or watercolor-like stylized effects by simply dragging and dropping filters onto your footage. New! 3D Title Editor: Engage your audience with robust and eye-catching 3D titling options. Enhanced! Effects from NewBlueFX: Get creative with premium video effects from NewBlueFX - try out selective focus, color, and tint. Produce professional quality results in new Video Essentials V with 100 presets in ten plugins. 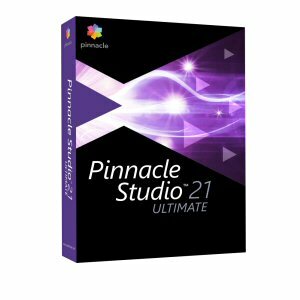 Pinnacle Studio 21 Ultimate is part of the Pinnacle Studio family that also includes Pinnacle Studio 21 Plus and Pinnacle Studio 21. To learn more about the Pinnacle Studio 21 product lineup, please refer to this comparison chart. Pinnacle Studio 21 Ultimate, Pinnacle Studio 21 Plus, and Pinnacle Studio 21 are available now in Czech, Danish, Dutch, English, Finnish, French, German, Italian, Japanese, Polish, Russian, Spanish, and Swedish. Suggested retail pricing of Pinnacle Studio 21 Ultimate is $129.95 (USD/CAN/AUD)/ EUR 129.95/ £114.95, Pinnacle Studio 21 Plus is $99.95 (USD/CAN/AUD)/ EUR 99.95/ £89.95 and Pinnacle Studio 21 is $59.95 (USD/CAN/AUD)/ EUR 59.95/ £59.95. Upgrade pricing is available. UK and Euro prices include VAT. For more information, please visit www.pinnaclesys.com. First time customers also receive a 21-day, all-access pass to Studio Backlot training from Class on Demand (English only). Dedicated to creative video editing experiences and exceptional results, Pinnacle products give people the power to tell their unique stories through movies. Part of the Corel family, Pinnacle's portfolio includes the award-winning Pinnacle Studio™, Pinnacle Studio™ for iPad, and Dazzle® video capture devices. Corel is one of the world's top software companies providing some of the industry's best-known brands including MindManager®, Pinnacle™, Roxio®, and WinZip®. For more information about Pinnacle and its consumer video editing software and hardware, please visit www.pinnaclesys.com. © 2017 Corel Corporation. All rights reserved. Corel, Pinnacle, Pinnacle Studio, the Pinwheel logo, Dazzle, MindManager, Roxio and WinZip are trademarks or registered trademarks of Corel Corporation and/or its subsidiaries in Canada, the U.S. and elsewhere. All other names and any registered and unregistered trademarks mentioned are used for identification purposes only and remain the exclusive property of their respective owners. Patents: www.corel.com/patent. 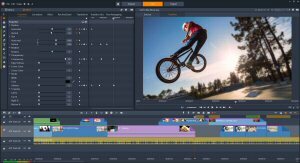 Pinnacle Studio 21 Ultimate makes pro-inspired video editing dramatically easier and more creative. 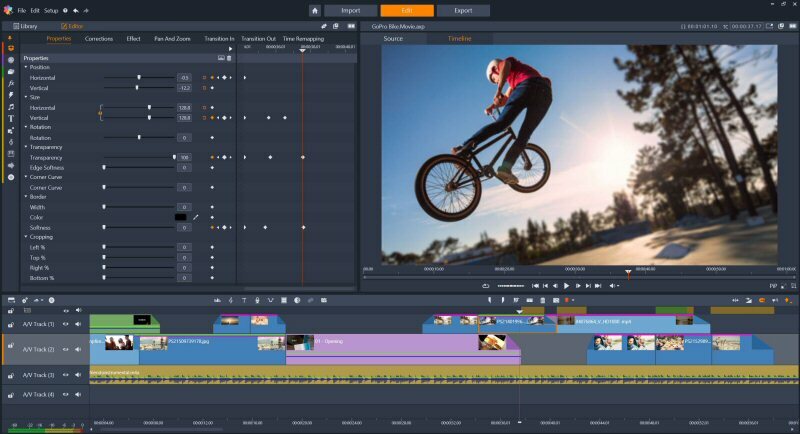 Take advantage of a redesigned interface, new editing tools, and a wealth of creative content for exceptional moviemaking. Work faster than ever thanks to a beautifully redesigned and more intuitive interface. Pinnacle Studio 21 Ultimate now gives editors more control with new features like Keyframe-based effects that can be set parameter by parameter. New Wide Angle Lens Correction makes it easy to remove distortion and straighten the horizon. Footage captured with wide angle cameras can now blend in smoothly with the rest of your film. Edit like a pro with Pinnacle Studio 21 Ultimate. Experience a redesigned interface and new tools including Morph Transition, Wide Angle Lens Correction, Paint Effects, and more.